Fiberglass Cloth Light Weight 38" x 36"
0.75 ounce weight cloth, 38" x 36". Apply using slow-drying or Finish Cure Epoxy to saturate the Glass Cloth and adhere it to the model. Fiberglass Cloth is made of actual glass, very fine filaments of pure glass are spun into yarn which is then woven into varying weights of cloth. Glass is one of the strongest textile fibers, having greater tensile strength than steel wire of the same diameter. Chemically treated to enhance glue/resin adhesion. 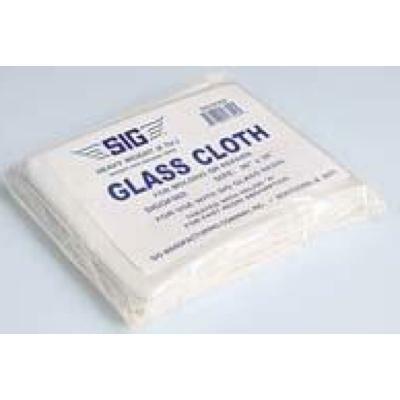 This glass cloth is manufactured by the largest fiberglass producer in the U.S. and distributed by SIG.